HERSHEY, Pa. — Going into the fourth quarter, Archbishop Wood was up seven and had all the momentum from their previous quarter of offensive dominance. Moon found themselves in the unfamiliar territory of being behind. Moon had led the whole game until midway through the third quarter and had to battle through a fired up Vikings team. The game started out fast for the Tigers. Taru Jones hit an uncontested three pointer to take the quick lead following a few turnovers from the Vikings. The Vikings struggled initially on offense, missing three nearly uncontested layups which proved to be crucial down the stretch. Moon got in their groove early on both offense and defense. Moon caused multiple turnovers including a couple steals. Donovan Johnson got his game going early. Johnson, who ended with 17 points, had a deep three and a couple fade-away jumpers to add to his team’s lead in the first. The first quarter ended on an inbound play to Connor Ryan who drained a layup at the sound of the buzzer. The score at the end of one was Moon 16, Archbishop Wood 11. The second quarter was a defensive showdown. There was more intensity from both teams defensively especially from the Vikings. The Vikings started pressing full court which created some scoring opportunities and disrupted the comfortable offense that Moon had settled into. Archbishop Wood closed out the quarter on a 5-0 run to cut down their deficit to only two. Moon came out on top at halftime 25-23. This quarter was an all out shootout on offense. Both teams combined to score a total of 47 points. With a little momentum on their side the Vikings entered the third quarter fired up and ready to play. Archbishop Wood slashed and attacked the paint the entire quarter drawing multiple fouls and creating multiple three point opportunities. The Vikings pressed almost on every single inbound from Moon which created multiple turnovers and led to scoring plays. The high-flying Vikings could be seen on a couple of dunks including a half court pass for an alley oop to add to a surging offense. Archbishop Wood would take the lead in this quarter halfway through, during a 12-2 run. Just when it seemed Moon’s demise was becoming evident due to a seven point deficit and a pumped up Archbishop Wood team, a hero emerged from the Tigers. Connor Ryan entered the game on a mission. He took the game almost entirely into his own hands scoring 17 of his team’s 30 points in the quarter. Ryan was playing like a man possessed, grabbing offensive rebounds, shooting threes and slashing through multiple Vikings. Ryan propelled his team to take the lead late in the fourth quarter. With two minutes left in the game, Moon found themselves up by five. Moon’s game plan was evident in that they wanted to drain the clock. The Tigers were successful in their plan as they drained 30 seconds off the clock before the Vikings made a move and intentionally fouled none other than Connor Ryan. This foul put Moon in the bonus at the most opportune time. He made one to make it a six point game with only a minute and a half left. The Vikings missed their opportunity to shrink the deficit at the foul line where they missed both of their shots. With only 30 seconds left the Tigers found themselves up by six. Moon had the ball at the blow of the whistle and a win for the Vikings would take a miracle. The Tigers inbounded the ball with no fault and the Vikings were forced to foul, sending Johnson to the line. Johnson would drain both shots to make it an eight point game. Archbishop Wood pushed the ball up the court and fired off a three to no use as the Tigers lead was too much to overcome with the time given. The Tigers won in an impressive comeback, 74-64. A late game comeback was fueled by their experienced play from their senior loaded team. 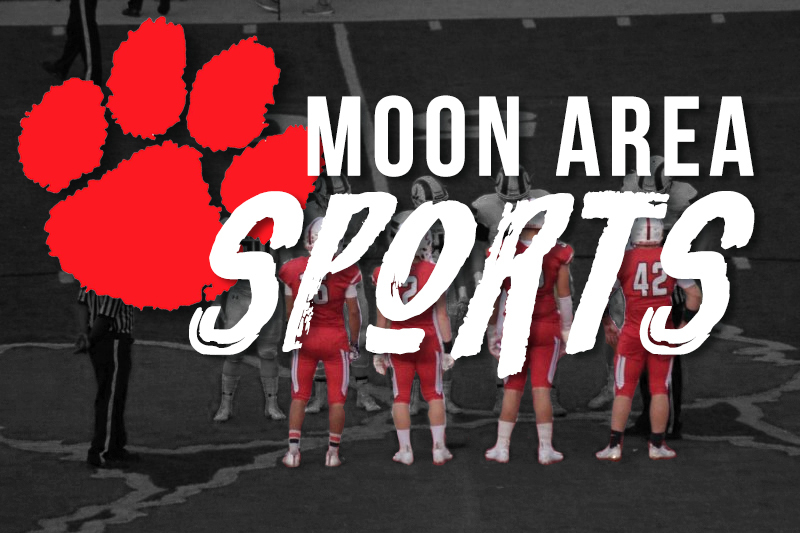 After losing the WPIAL championship game, this Moon team proved their resilience by battling through the PIAA playoffs and securing a spot in the finals. For a team that is loaded with seniors, there is no better way to end your high school career than to come out on top with a state title.